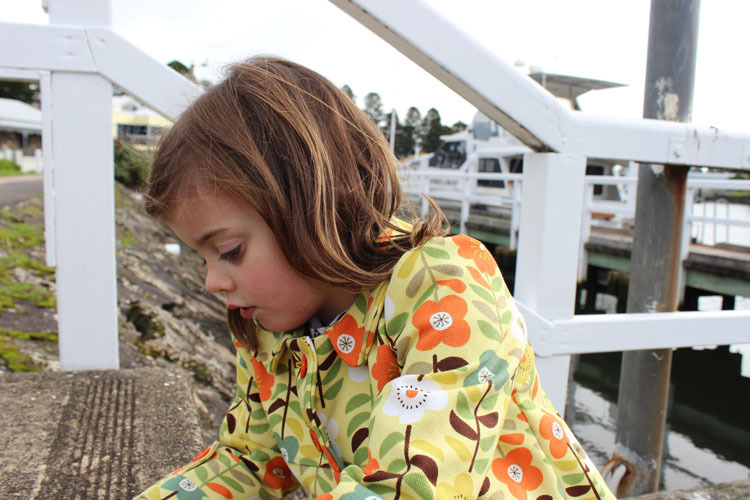 KAWAII MOIANO COAT AND GIVEAWAY! 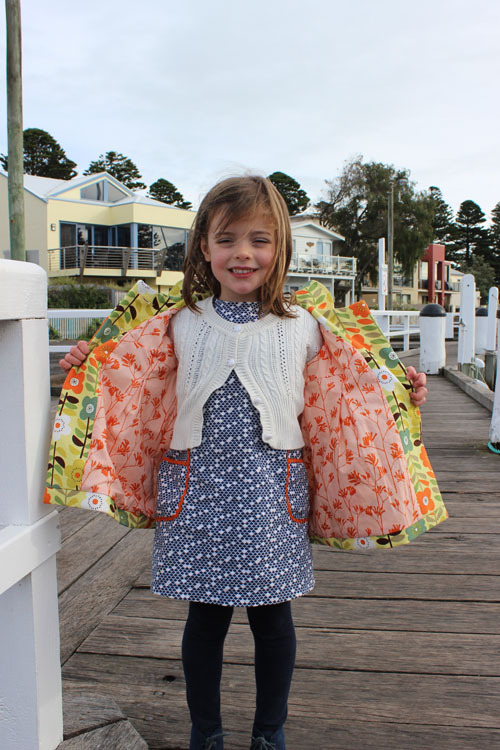 Today I am sharing with you a new coat I made for Emily from some amazing cotton canvas fabric sponsored by Kawaii Fabrics. I was really happy to be contacted by Kawaii Fabrics about a month ago asking if I would like to try some of their fabric....well, yes!! This was quite the coincidence since I had not long before begun working on my new pattern which was made from this fabric (but in the grey colourway...currently unavailable) which I purchased here in Australia at Spotlight...I was searching its availability online to try to find inspiration for a good name for said pattern, when I found it was also available from Kawaii. So when I was contacted by Maggie from Kawaii soon after, I think it was meant to be! Maggie from Kawaii offered me two lovely pieces of fabric - this gorgeous cotton canvas and also another piece I will be sharing soon (you may have seen some sneak peeks on instagram already). 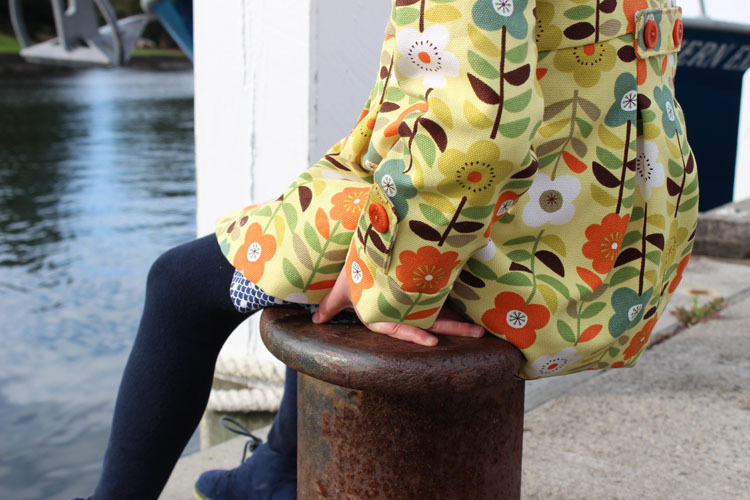 This fabric is designed by Cosmo and is a heavy weight cotton canvas which is perfect for this coat. I could also see this fabric being used to make awesome bags, A-line skirts, home decor and aprons. 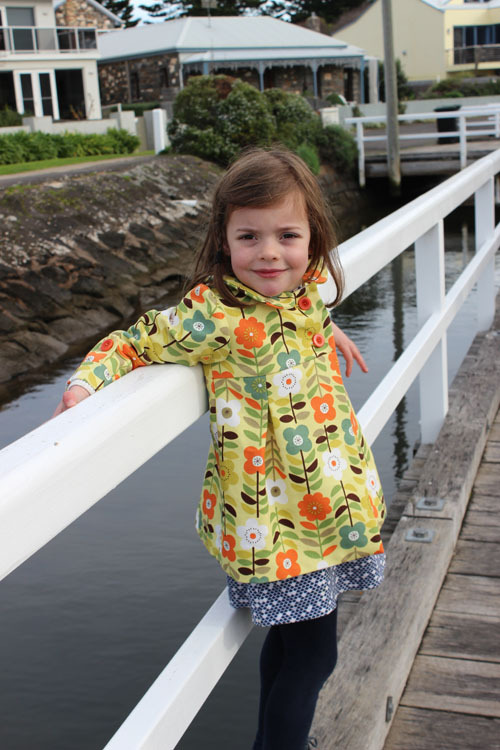 I just loved the 1970's feel of this print and knew Emily would look super cute in her new Moiano coat. 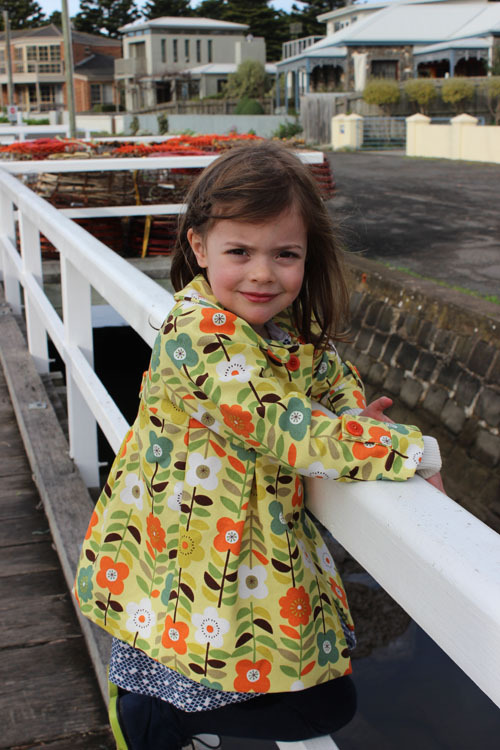 Kawaii Fabrics are based in Hong Kong and also own the popular Modes4u. They stock a huge selection of great fabrics. Some of my favourite manufacturers and designers there are Cloud9, Robert Kaufman, Echino, Cosmo, Lecien, Mona Luna, Alison Glass, Birch, Ink + Spindle (Melbourne designers - yay!) and Kokka to name a few. Fabric is priced by half metre (if viewed here in Australia). You can also fill your cart for $100 AUD and receive free shipping. This applies to many countries also (with equivalent minimum spends). You can see their shipping information here. My fabric arrived to my country Victoria address within a week of ordering which was great! They also sell some super cute Japanese notions too. Now, back to the coat...Emily has done some growing lately, and the Moiano I made her last year in size 4, is starting to get a little small and this fabric was just begging to come to the rescue! The sewing of this coat came together nicely (since I have made the pattern three times now). This time I opted for the peter pan collar. I had one metre of fabric so carefully cut the pieces (measure twice, cut once...or cry!). I just managed to cut all the pieces which was perfect. For the lining, I used some Cloud9 Ink & Spindle fabric. I have had this one for a while now and think it really complements the Cosmo fabric. Incidentally, this fabric is also available at Kawaii here. 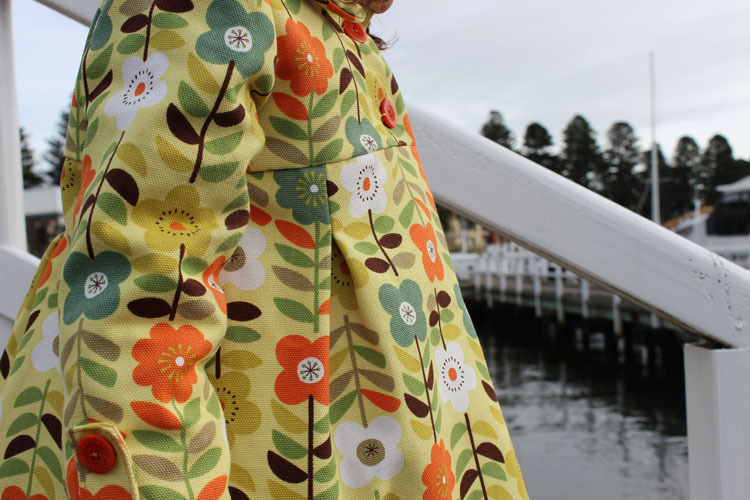 Coincidentally, Ink & Spindle are a Melbourne based design duo and I was excited to use their lovely cotton to line this coat. 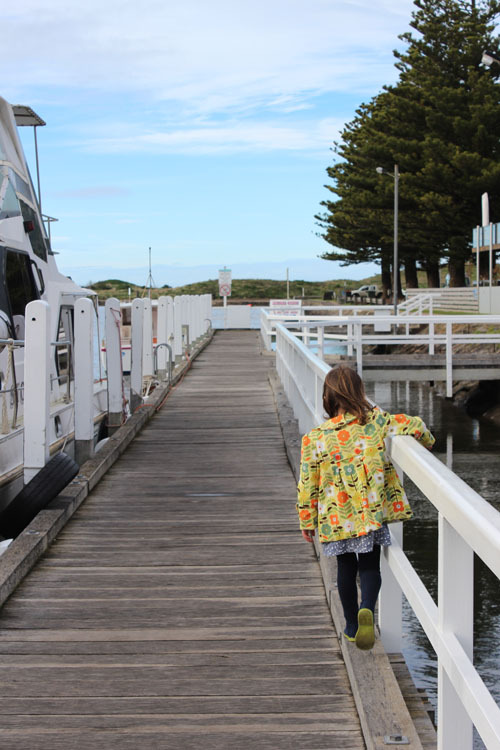 I took these photos on a morning out at Port Fairy. It was a lovely sunny day and Emily and I enjoyed a coffee (me) and jelly slice (Emily) and a little walk with my camera. These photos have not been edited at all, so the colours in the fabrics are true. Now I might have mentioned a little giveaway!! 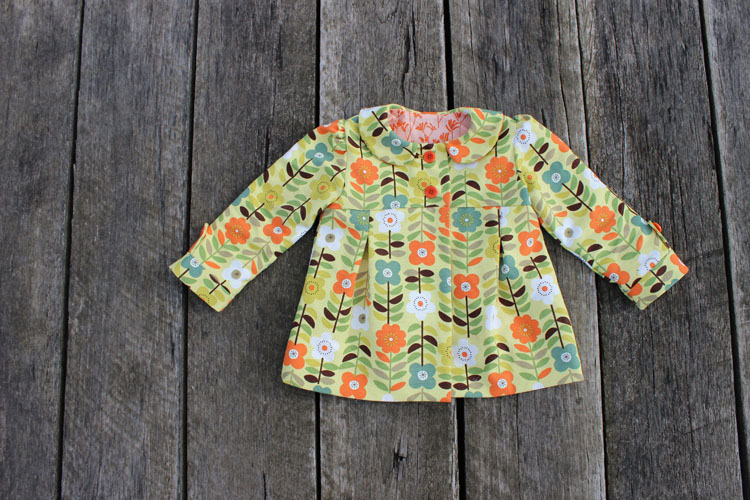 Kawaii and I are offering a lovely fabric bundle for one lucky reader. You will receive 1 metre of this amazing Cosmo cotton canvas as well as half a metre of beautiful Echino cotton canvas.... and half a metre of purple Echino laminated canvas. 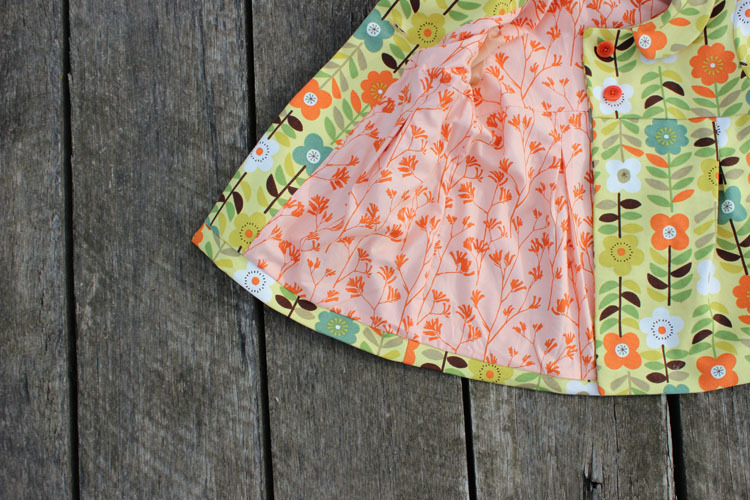 To enter, leave a comment here on my blog to let me know which designer, stocked at Kawaii Fabrics, you love most. 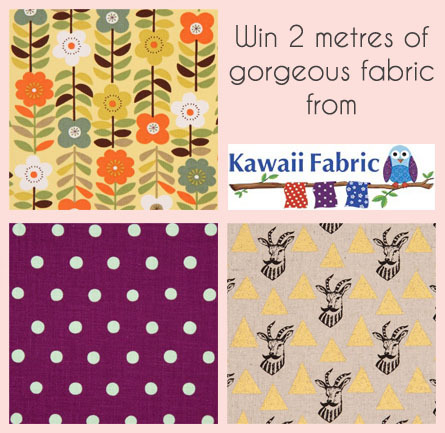 You can also visit sewpony and Kawaii Fabrics on Instagram to find another way to win! All entry options will be combined and a winner will be chosen at random This Friday 7th July. Open internationally. Good luck! Thank you very much for the wonderful fabric Kawaii Fabrics! Waouh, really really love this coat. Both fabrics are so bold, yet not over the top, beau-ti-ful ! I would also love to win fabric :) Kokka and Kiohara are two of my favourite Japanese brands. Cosmo looks like being another good one ! 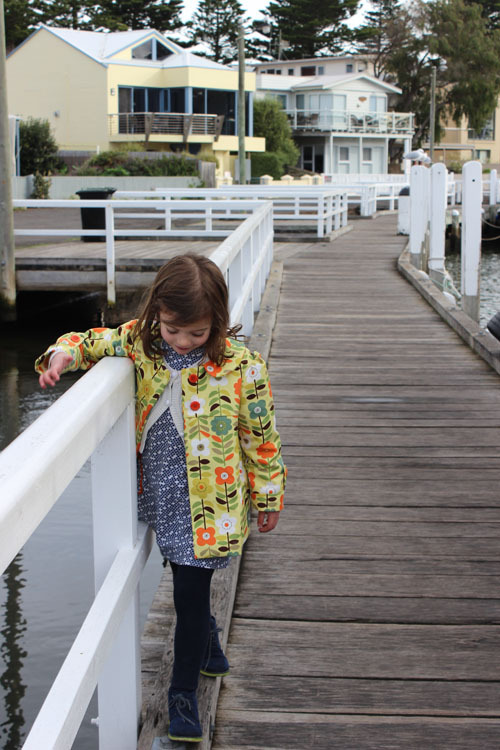 The coat is beautiful & your daughter is adorable! So many beautiful things at this shop - I love the massive selection of laminates. I need to sew a raincoat, you see. So I will pick Kokka because they have a beautiful laminate I want to make my raincoat from. Beautiful coat and I love the print! So hard to pick a fave in the shop... So many cute Robert Kaufmann and Cloud 9 prints. 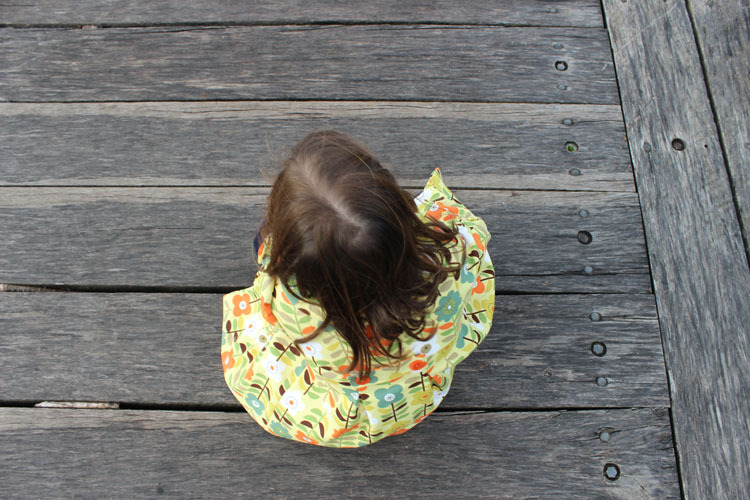 But it looks like they stock a small amount of Nani Iro which is always my dream fabric. I'm amazed at how many different prints they stock. I love that border print from Michael Miller called Summer Night Lights Twilight. The Cloud 9 prints are great too. it is a beautiful coat. 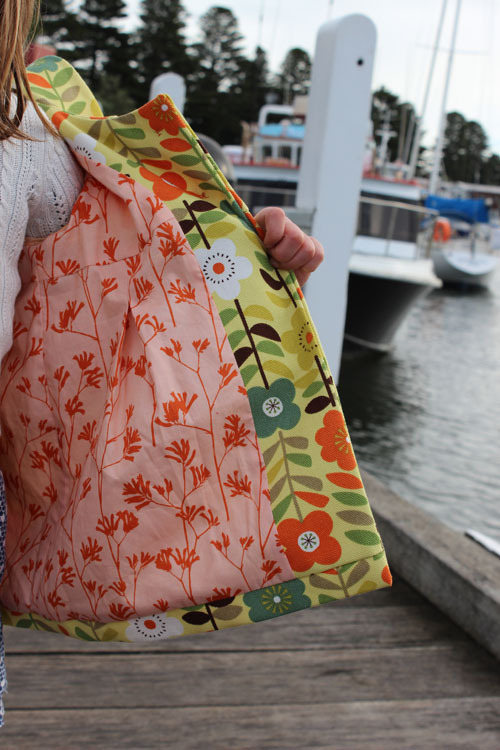 The fabrics, i am loving them all, but especially echino. I love robert kaufman designer. The coat is cute and colorful, like it. What a gorgeous coat! Love the colours! You cut all the pieces for size 4 out of 1 metre? I might have to be careful playing Tetris against you ;) The photos are beautiful! Such a lovely place! I adore this coat! It would be great for my youngest grandchild, Mona. My favoritefabric is Cloud 9. I would love to win! Love the coat! I think my favourites--probably because they're different than most I see are the ones from japan!